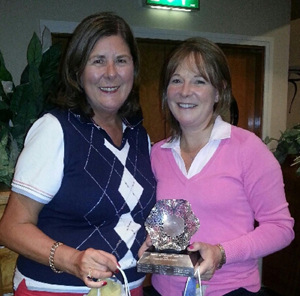 Jean Hughes was the winner of the 2013 BPW Golf Outing at Golf Golf Club, Runner up was Jean Corbett. It took place on Monday 30th September in really tough weather conditions, Sincere thanks to all who participated in this years event. This years competition was kindly sponsored by Deirdre O’Connor, Solicitor and Former President.